IN RESPONSE TO FRISCH VULGARITY!!!! 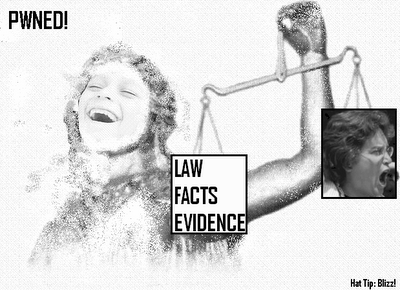 STRIKE TWO AGAINST DEB FRISCH'S FRIVOLOUS LAWSUIT!!! FED MAGISTRATE FAVORS SPRINGFIELD'S SUMMARY JUDGMENT MOTION AGAINST DUM-DUM-DEB! EWEGENE (Jan 7)--A federal magistrate has favored Teh City of Springfield's motion for Summary Judgment against Deborah E. Frisch's frivolous lawsuit, according to a "Findings and Recommendations" report released today. "After careful consideration of the filings," concluded teh judge, "I recommend that this court GRANT [the City of Springfield's] motion" for summary judgment against Teh Deb. 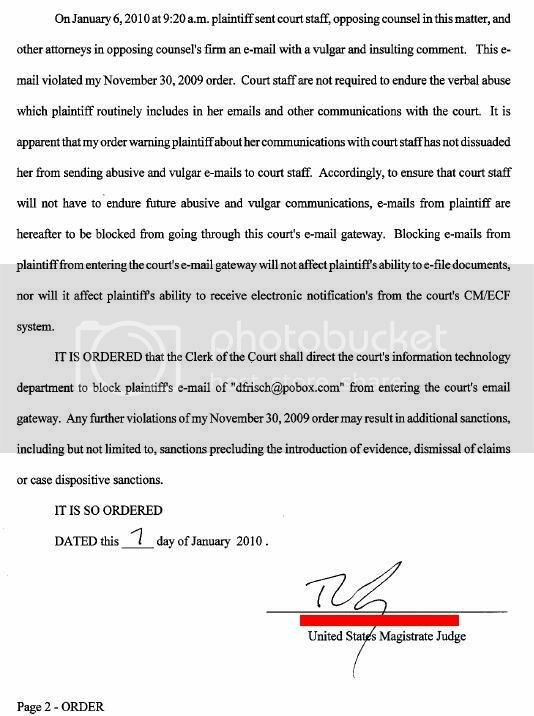 Teh judge's action is a serious nail in teh coffin of Miss Debbie's frivolous lolsuit, originally filed last May. Frisch has already failed in her feverish attempts to block a deadly 12(b)6 motion, filed by Lane County last Aug. 17th; teh same magistrate recommended in favor of Lane County last Sept. 22nd (and re-iterated this support in a filing on Nov. 23rd). Frisch has filed a blizzard of other frivolous motions during the last eight months; happily (and amusingly), ALL have been roundly pwned by able defense attorneys. More amusingly still, Teh Deb has been subjected to a number of lulzy beatdowns by attorneys and teh court. In sum, Deborah Frisch has shown that her limp lobes are dog shi'ite--she has been easily outgunned by defendants' better educated, and more mentally nimble, attorneys. 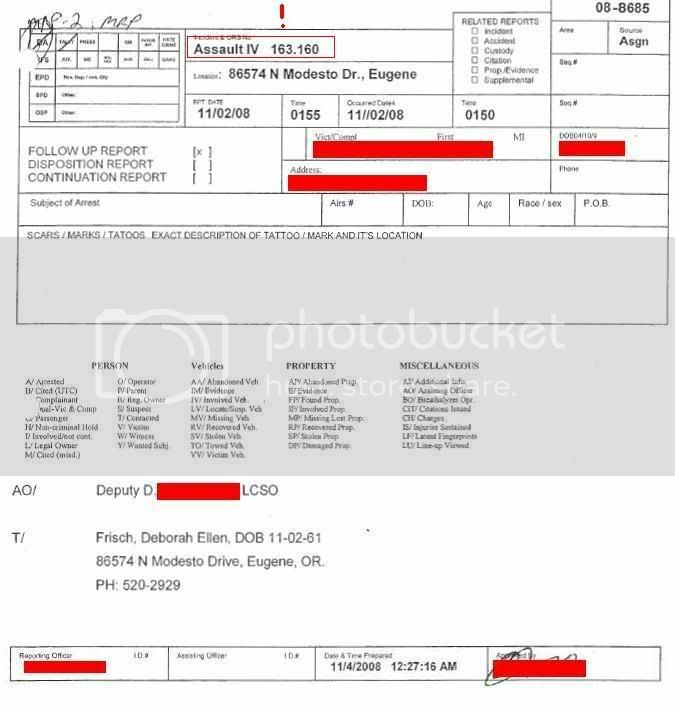 FURTHER DETAILS DEB FRISCH ASSAULT!! was filed as an exhibit for a defense motion, last November 17th. physical harassment and illegal use of pepper spray. Deborah Frisch drunkenly groped teh victim's date's "buttocks." *Police initially categorized Frisch's attack as "4th Degree Assault"
or recklessly causing physical injury to another person."